Why this mysterious location blurred out by Google ? This tiny island out in the East Siberian Sea is remote, abominably cold, and for some reason, it's blacked out on Google Earth. It's hard to even imagine why — although Russia and the U.S. briefly argued about who owns it, the U.S. hasn't pursued it and recognizes it as Russian. If you are browsing around Google Maps and, for some reason, looking at islands in the East Siberian Sea, you will come across something peculiar — a nightmarish black blob covering up what should be a landmass named Jeannette Island. This island, in reality, is quite small, at only three square kilometers, and part of the De Long Island archipelago in the East Siberian Sea. The uninhabited island was not discovered until the late 19th century during the Jeannette Expedition, which tried, unsuccessfully, to reach the North Pole through the Bering Strait. Though the history of Jeannette Island is as brief as it is uninteresting, the peculiar way that Google Maps renders it has led to a plethora of conspiracy theories, ranging from the involvement of aliens to secret deals from President Obama. Missing and incomplete data on mapping services is not an uncommon occurrence, of course. In some cases, areas are censored or obscured on satellite imagery intentionally; there is a fascinating Wikipedia article listing a number of locations with intentionally or unintentionally censored or blurred locations. The reasons for obscuring some of these are self-evident — they’re nuclear power plants, prisons, etc. — while other decisions to obscure maps are political (all of Israel and Palestine, thanks to U.S. There are, hence, a few questions worth asking with regard to Jeannette’s “disappearance”: Was the blacking out of the island intentional, or is it some sort of glitch? What can we find out about this island online, both from reliable sources and, to put it mildly, unreliable ones? Aliens? A Military Base? Secret Intelligence Facilities? One of the first things that may catch your eye when researching the island is the low rating it has on Google: Did people actually visit this uninhabited island and, for some reason, were unsatisfied with their stay? As it turns out, most of the bad reviews are due to the fact that the island is “hidden” on Google Earth. Other reviewers are suspicious that Russian President Vladimir Putin is up to no good there, hatching evil plans for Jeannette Island. As with many other topics, 4chan provides some of the more outlandish conspiracy fodder for Jeannette Island, as seen in a lengthy post from last year. The 4chan user in question wrote what is probably a creepypasta about how a distant relative of his had disappeared on the island in the early 2000s while serving in the Russian Navy. The user was asking the forum’s help in figuring out what was going on on the island, and the “very Lovecraftian” case was cracked by concluding that the island was most likely inhabited by aliens. When it came to more serious answers, other anons suggested that Google Maps blurred out the island due to the presence of a military base or missile silo. Others saw (or, were trolling and therefore pretending to see) geopolitical intrigue surrounding the mysterious island — President Obama allegedly “gave away” disputed islands near Alaska to Russia, including Jeannette. While Jeannette Island may be shrouded by mystery on both Google Maps and 4chan, the island is actually open for expeditions and visitors, as evidenced by a number of reports and photos of it posted online. Though you cannot see the island from the sky on Google, you can from the ground on the Russian social network Vkontakte (VK), thanks to a user who uploaded an album of photographs he took on the island in 2011. Judging by the photos of the island, it is not home to any secret military bases or missile silos — let alone extraterrestrial beings — unless they are underground or well camouflaged. Photos of a more recent expedition to the East Siberian Sea islands, including Jeannette, were uploaded recently onto Instagram. These photographs were taken during the Pax Arctica, a Russian Arctic expedition led by explorer Luc Hardy. The expedition became immortalized in a French documentary film titled Artika Incognita. During the expedition, the crew actually stepped foot on Jeannette Island, and filmed it from above. Looking back even further, there is a sketch of Jeannette Island from 1881 that matches the photographs of the island uploaded onto social networks. As we can see from all the photographs, videos, and other materials online, Jeannette Island is actually visited by people fairly often, including by scientists, and there are no restrictions for someone who wants to experience the “mysterious” island firsthand. 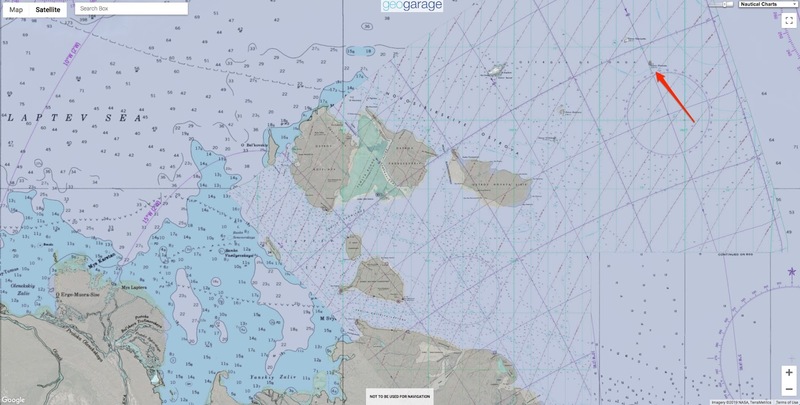 So, why is the island censored on Google Maps? When looking on Google Earth, the same blurring effect is visible for Jeannette Island, without any alternate historical imagery available. Jeannette Island (Russian: Остров Жанне́тты, Ostrov Zhannetty) is the easternmost island of the De Long Islands archipelago in the East Siberian Sea. t is the second smallest island of the De Long group, being only 2 km in length. It has an area of approximately 3.3 km2 (1 sq mi). The highest peak of the island is 351 m (1,152 ft). The source of this satellite image is from either the United States Geological Survey (USGS) and NASA with their Landsat collection, or the European Space Agency’s (ESA) Copernicus program. It most likely comes from Landsat, as there is no data visible from the Copernicus Open Access Hub for Jeannette Island. Imagery from recent Landsat 8 satellite imagery (via Sentinel Hub Playground) shows us Jeannette Island as it really appears, matching the photographs of the island uploaded onto social networks. 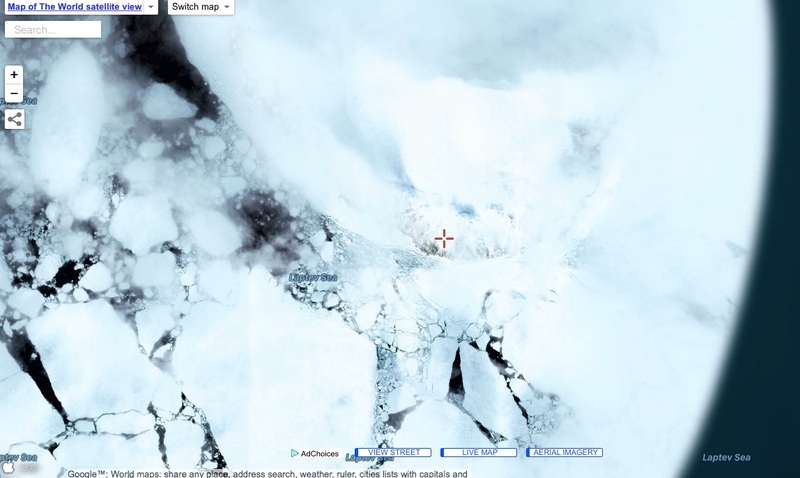 While Google Maps makes Jeannette Island look like an Arctic Area 51, it is completely unremarkable on Bing Maps. To recap, Jeannette Island clearly exists, and is visible in the low-resolution satellite imagery of the area on other sites. 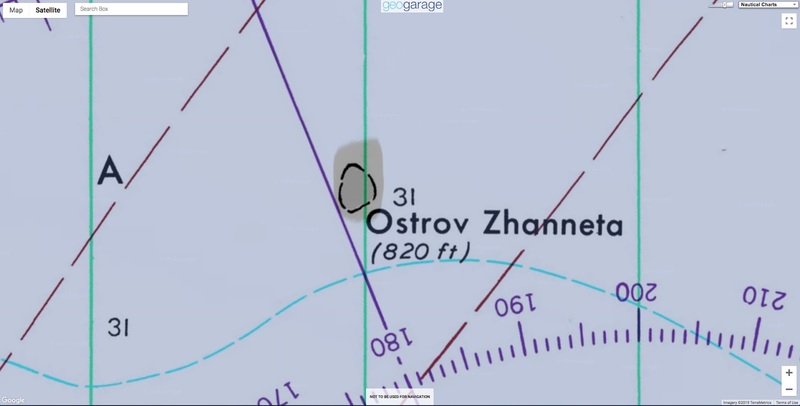 But why does Google Maps and Earth apparently blur out this unremarkable, uninhabited Russian island? The answer probably lies in a simple error with the USGS/NASA Landsat program. When there is data loss or errors during the capturing of satellite imagery or its transfer, various colors and shapes are used to illustrate the error. For example, Google Maps shows a strange yellow square along the border between Afghanistan and China. This is due to an error of rendering satellite imagery onto the map, rather than intentional censorship. More similar to Jeannette Island is “Sandy Island,” a “phantom island” that was represented by a black blotch on Google Maps east of Australia. Sandy Island was included in maps since the 18th century, but was “undiscovered” this decade when scientists realized that it did not actually exist. In reality, there is only ocean in the area designated as Sandy Island, as the outline of the “island” is roughly the same as the black blotches — likely, these black marks were inserted automatically to account for the lack of land in the area that the mapping service expected to find it. Similarly to Jeannette Island, the black marks look as if they were manually entered, though the shape of the island is much closer to the black marks in the case of Sandy Island than Jeannette (though the expected landmass shape could be complicated by the ice surrounding the island for much of the year). The satellite imagery used for this black blotch came, just as with Jeannete Island, via Landsat. Most likely, this same explanation can be ascribed for the Jeannette Island mystery: An error in the Landsat satellite image that expected to find a certain shape and set of pixels, but instead saw something else, and produced the mysterious black blotch as a placeholder. Daily express : Google Maps: Why is this mysterious location blurred out? What is Google hiding?